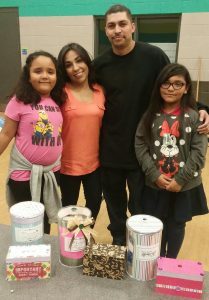 ICAN has done a phenomenal job with providing well-rounded programs to the families of our youth along with outside families throughout our community. 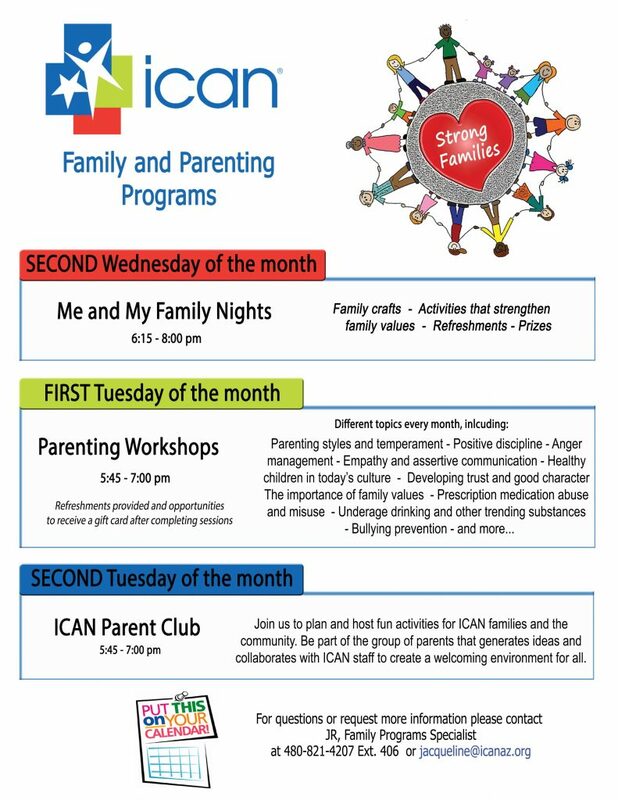 Recently, we have decided to expand these programs by offering additional days and times for our Parenting Workshops here at ICAN in hopes more ICAN parents becoming more involved with all ICAN has to offer. More specifically, these workshops will be geared to parents of youth attending our Junior High and High School after school programs. As teens mature, they are faced with more difficulties and stressors in life which may lead them to lash out against their parents and loved ones, do poorly in school, and/or self-medicate with drugs and alcohol. Here at ICAN, we want our families to be fully equipped with all the tools and resources necessary to combat these actions so all can live in a happy and healthy environment. In addition to an added class a month, our Family Programs department has begun the ground work for a new ICAN Parent Club. The goal of this club is to bring parents together to plan and implement fun activities for ICAN families and to collaborate with ICAN staff to create a welcoming environment for all. This will be a great opportunity for parents to provide immediate feedback and have their ideas put into action.